As a person with a pretty serious stationery addiction, after checking out their Etsy shop I figured why not see if I could get one. Im always up for getting some cute notebooks ! So after having a lovely little chat about Ben from Parks&Rec and getting the discount code I made an order on the 9th July and it arrived on the 14th. 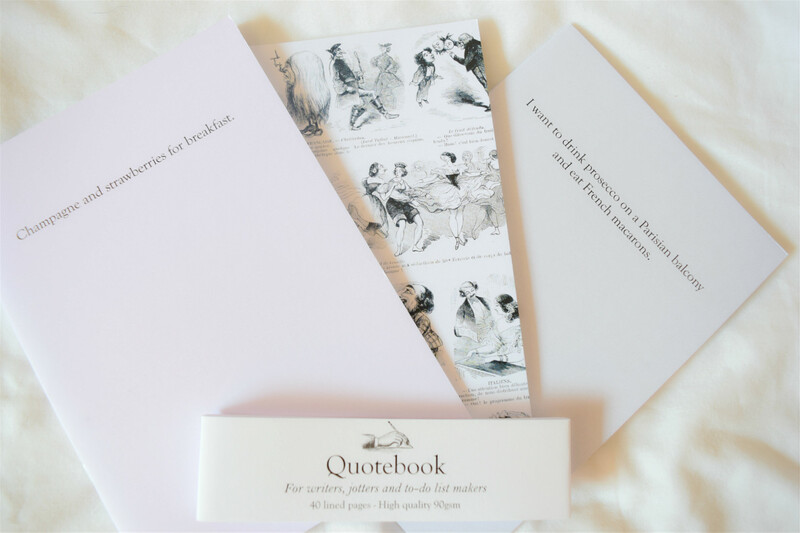 The first item I got was The Parisian Collection £9.95 which consists of three notebooks, one with illustrations from a French newspaper and the other two with quotes on them. well that was one of the reasons. 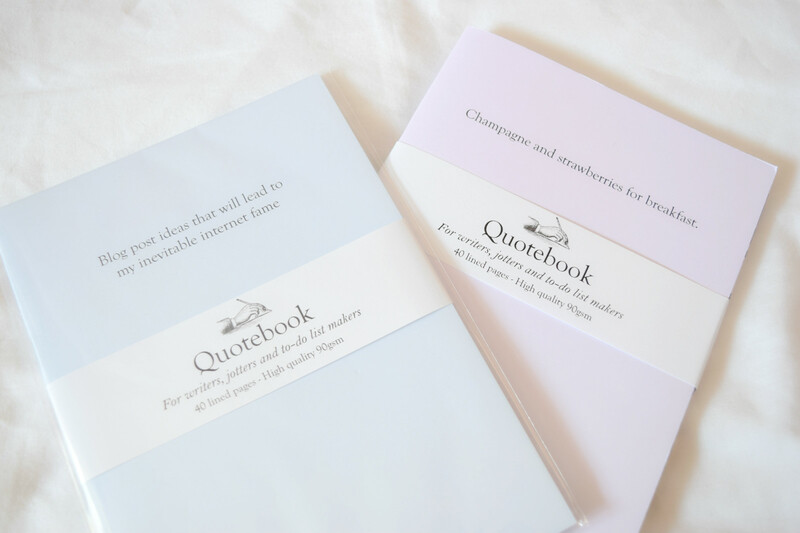 The second item Blog post ideas quote notebook £4.50 – just the fact that it says Blog post ideas that will lead to my inevitable internet fame was enough for me. I don’t know why I find the idea of internet fame funny to joke about it. But I do. I mean…. we all know you shouldn’t blog for fame. You should blog to have a reason to buy clothes. and makeup. and notebooks. and when I get famous, I’ll tell everyone just that. As you can probably see from the first picture, they arrived inside a cardboard box type thing which meant the notebooks had no chance of being bent in the post. 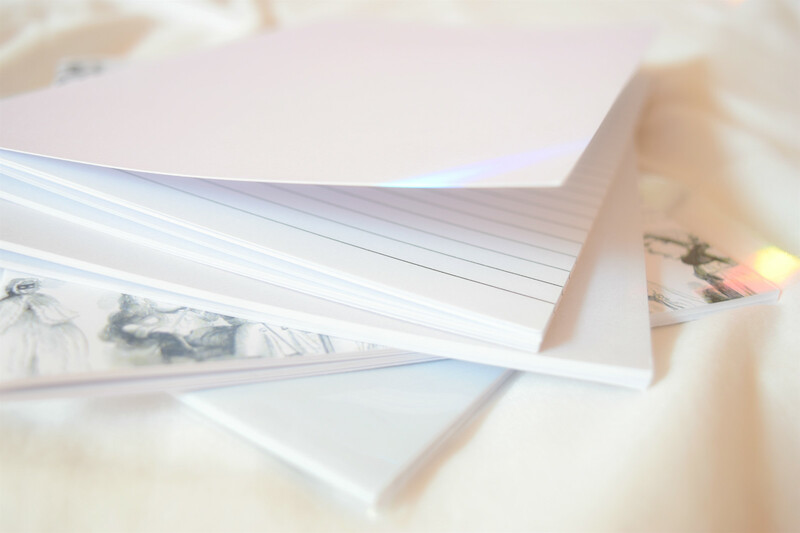 They are really good quality, and they are all lined, so you dont have to worry about having your writing be all over the place. Oh and the colours they come in are..really pretty. Lots of light/pastel colours which I love. This one comes in light green……which is…just……amazing. Inside the box, with the notebooks, there was also a pencil (freshly sharpened, might I just add!) 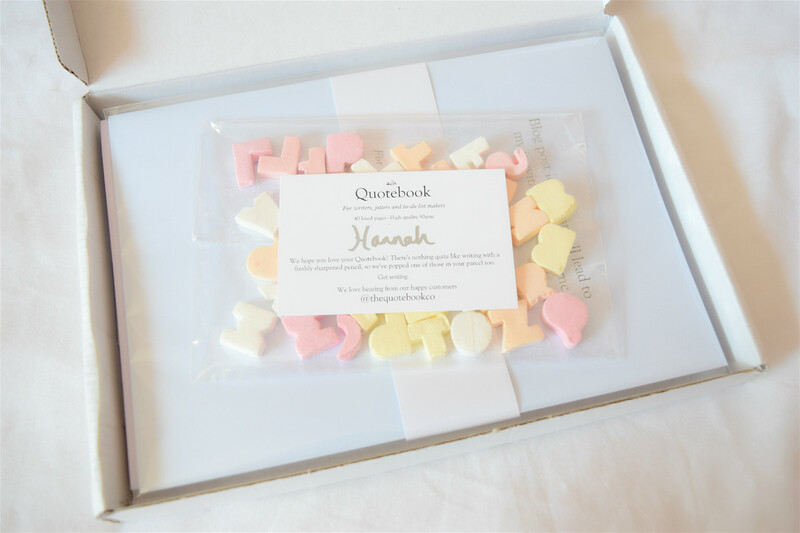 and some sweets in the shape of letters in. It really is just small touches like that that are just really nice, packaging that has had thought put into it is something I really appreciate. 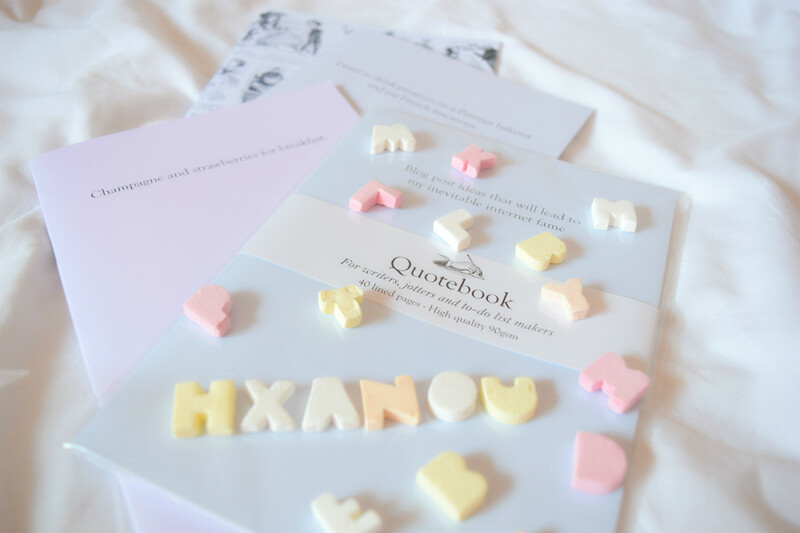 All in all, my experience in ordering from Quotebook Stationery was a pleasant one. The prices are decent and the person behind it, Kerry, is super lovely. If you’re looking for a notebook and one from this shop catches your eye- you should totally get it. I’ll be on holiday this time next week!! Wales here I come! BRB BUYING ALL OF THE THINGS. Because I obviously need more notebooks for all my new projects (a notebook a day keeps procrastination at bay). I love the 'I want to drink Prossecco' quote, and obviously the one about internet fame. Too good. Too pretty. Too not in my life. 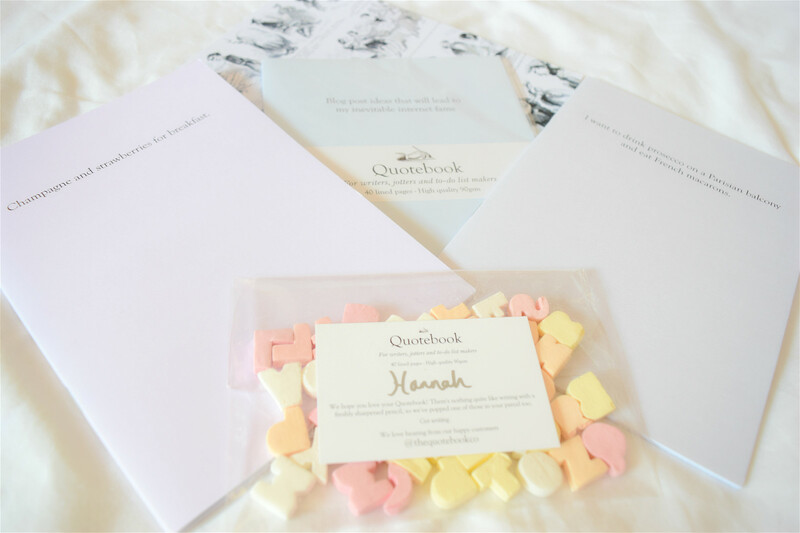 Oh my gosh what elegant stationery!